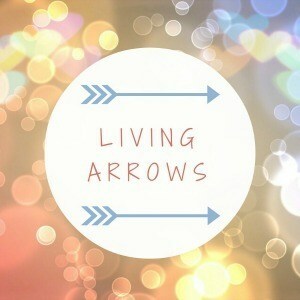 I'm taking part in the Living Arrows linky, hosted by What The Redhead Said for the first time this week. Living Arrows is about celebrating childhood. The project originally took it’s name from a poem by Kahlil Gibran, “You are the bows from which your children as living arrows are sent forth” and every Monday bloggers share a moment from their week and invite others to do the same. This is a picture of Ossie, my youngest, taken yesterday. 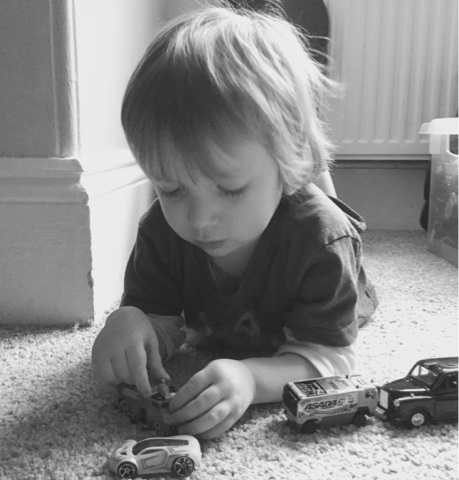 Ossie absolutely loves playing with his toy cars. 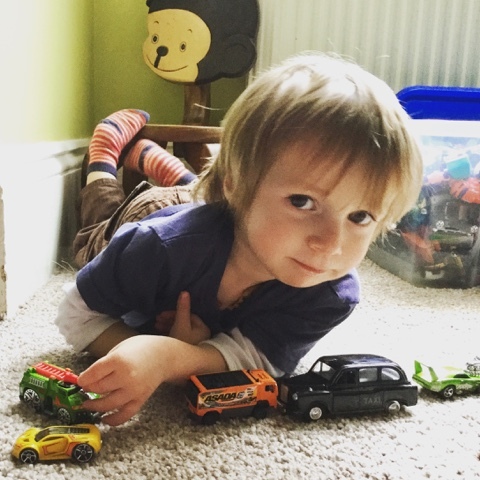 If we've been out, the first thing he'll do when he gets home is ask to play with his cars. He spends hours driving them around, with plenty of sound effects, and arranging them. It's lovely to see his imagination blossoming as he chatters away as he plays. Over the years we seem to have amassed boxes full of toy cars, many belonged to my husband, so they're certainly getting good use. As you can see in the photos, his hair is getting quite long now and he's well overdue a haircut. But he looks so cute with it longer and it really shows off his big eyes, so I'm tempted to just give it a little trim and keep as much of the length as I can. What do you think? It's amazing how many toys we acquire! Space is always an issue here. I try and rotate boxes, but the cars have been a fairly permanent feature downstairs for a few months now. I'm slowly but surely whittling down the toys that are no longer played with and plan to head to a car boot sale soon.